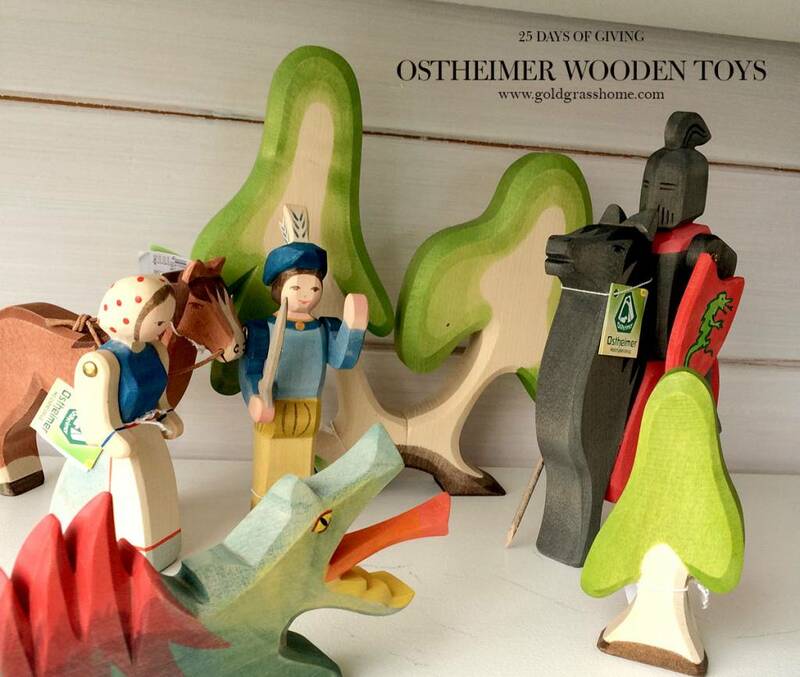 Today for our 25 days of Giving campaign, we are featuring Ostheimer wooden toys. We have a wide range of animals, characters and scenes in stock. And, as today’s feature, 10% of all Ostheimer sales will be donated to Resolve! You won’t be the first full-grown adult to take a few home for themselves. Yes, they are just that cool! If you are getting gifts for the children in your universe, they are going to be able to enjoy these traditional German toys for hours and hours of imaginative play. And, being that they are made with 100% natural materials and non-toxic finishes, they will be thanking you for life. Build a scene or story, or start a wonderful collection that can grow into a magical world. Ostheimer wooden toys make a great gift for a child, or for the child within all of us. As the saying goes around here at the Goldgrass Child: ‘Less loud noises and flashy lights, more magic and wonder…‘ Ostheimer inspires us (and our kids) every day towards imagining new (and traditional) possibilities. Remember, by taking part in our 25 days of Giving, you’re not only getting awesome natural gifts for friends and family, and helping us support a great cause (10% of sales of daily feature items donated to Resolve), you’re also entering to win an Ultimate Spa Kit, valued at over $1000. It’s an amazing gift pack stuffed full of the world’s finest and most luxurious skin and spa products, bath linens and other goodies! The more you take part, the better your chances of winning. So let’s get going! Play now and play often!